The first-party TweetDeck client for Windows will be officially discontinued on April 15, as Twitter now wants to focus all of its efforts on the web-based version that can be easily accessed by anyone straight from their browsers. 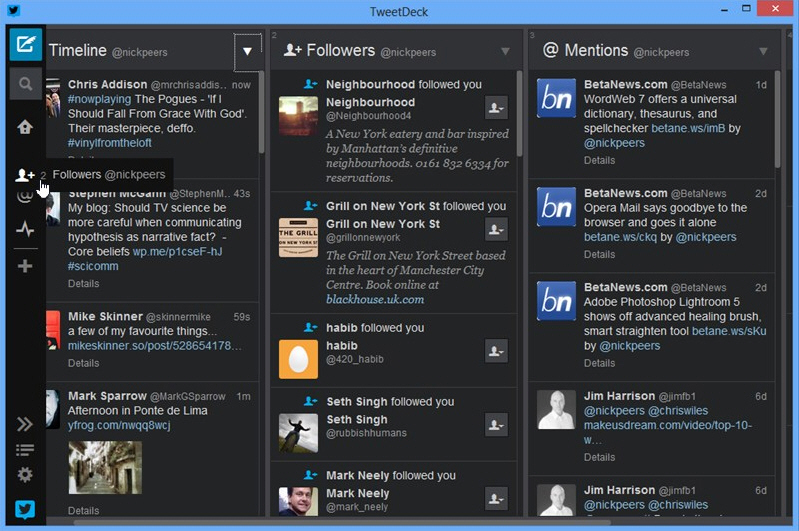 TweetDeck for Windows allows users to connect to Twitter, post messages, send and receive DMs, get notifications, and follow their timeline straight from the desktop, but a similar client is also available in the browser offering the same look and features. As a result, Twitter will be giving up on TweetDeck for Windows, so the application will no longer be offered for download and will fail to connect to retrieve posts and notifications. “Starting today, when you’re logged in to any Twitter website, like twitter.com or analytics.twitter.com, you’ll no longer need to log in to TweetDeck separately. Now, when you move from TweetDeck to Twitter websites, or from these websites to TweetDeck, you’ll be automatically logged in – making it even easier to move between the tools you use daily,” Twitter announces. Without a doubt, even if TweetDeck for Windows is discontinued, not everyone is willing to move to the web-based client, so it goes without saying that alternatives will be needed. Fortunately, there already are several other ways to connect to Twitter, and you can have a look at some third-party Twitter clients available on Softpedia.